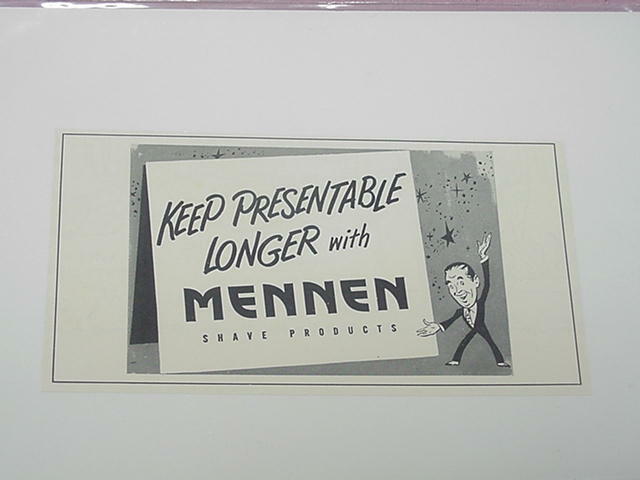 4 7/8"x10 1/2" trimmed original black and white ad from 1969 for "Neet Cream Hair Remover"
"Want A Smoother Complexion? Stop Shaving". 1941 Chap Stick Cowboy Ad "Buck Up, Pal"
1930 Pond's Cold Cream Ad "Four Steps To Beauty"
1907 Mennen's Borated Talcum Toilet Powder Newark N. J.